There is simply no substitute for hard work when it comes to achieving success. Balscadden based trainer Damian English was under no illusion that being a racehorse trainer was ever going to be easy. English is a realist, he grasps that Irish horse racing is ultra-competitive and money driven to the core however he and his hard-working team at Grougha stables are more than armed to challenge and take on the powerhouses at any given chance. Never resting on his laurels is the only way a small-trainer can survive, and English is no different, he is pleased with what he has achieved to-date yet in the same breath is hungry to achieve more glory this term. “Last year was a really good season we had 10 riding out and ended the season with 9 winners. This season we would love to get into double figures and the main aim is to win a premier handicap. 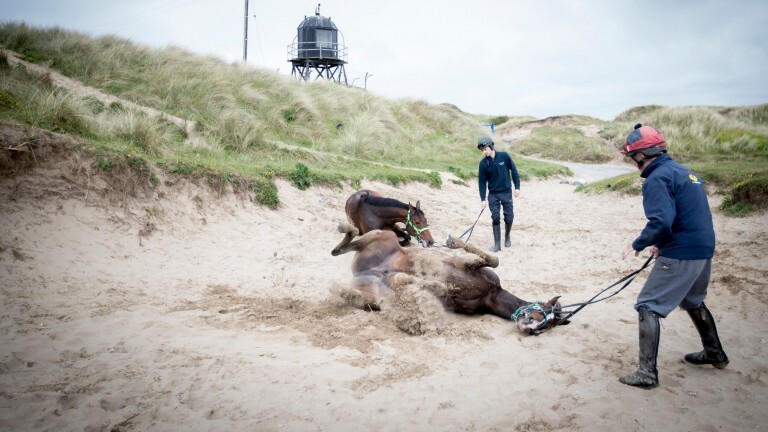 Day to day in the yard we try to keep it as simple and as safe as possible, the horse-box heads to the beach every morning where the horses have their routine swingers, we also take them to Skryne gallops to work once a week, horses relish routines”. There is no shunning the clear statistic, English has a sharp eye for attaining a bargain at the sales, his almost sixth sense in seeing potential were other trainers have given up belief has really exceled English’s training career to-date and got him noted by a wider audience of owners. Where does he get these discounted acquisitions worth their weight in gold? “All the team at Grougha stables are always on the look-out for a bargain and the horse in training sales at Newmarket have been very lucky for us. My team refuse to give up on any hope of getting a horse back to winning-form, if they have talent, we will find it”. Every season it is clear his stables are getting bigger and better in quality; how does this year’s lot look this term? 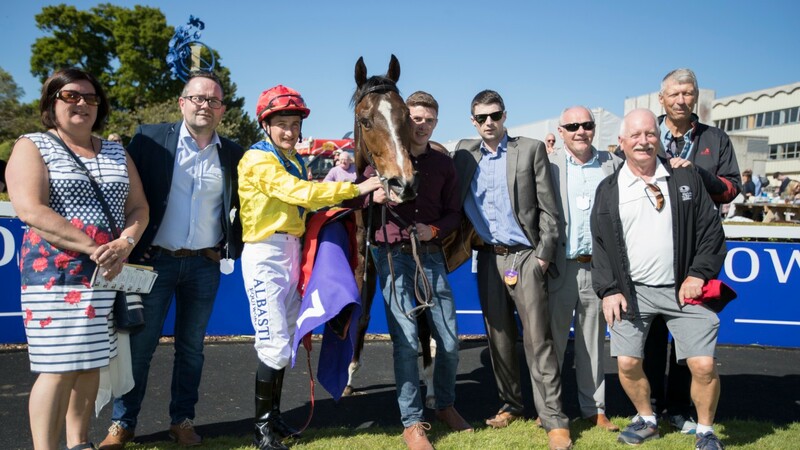 “This is definitely the best bunch of horses we’ve had going into the flat season, I’m really looking forward to see how Stanhope goes on the grass after 3 very consistent runs at Dundalk, also Twenty Minutes is one that we thought would be much more suited to the grass so exciting times ahead” insisted English. The Irish handicapper is hard to get everything past nevertheless we questioned English what would be one of his horses to follow on the basis of progressive form to-date, he responded, “I reckon Confident Kid is one to follow as he just wasn’t in love with the Dundalk surface and is very well handicapped as a result”. The Irish flat season is almost upon us again (This Sunday) and English is eager to get back amid the winners fairly sharpish, we put the question to him what are his two thoroughbreds he is most looking forward to unleashing? “I suppose Trading Point and North Wind are two I’m really looking forward to this summer, they look like two exciting horses.